Water polo at Loomis dates back to the late-1970's, when Coach Bob Hartman created one of the first high school programs in New England. This co-ed team eventually split into girls and boys programs in the mid-1990s, with both teams having consistent success. The Pelicans won New England Prep titles in 1994 and 1996; finished second in 1999, 2002, and 2003; and placed third in 2001. The program prides itself on cultivating a passion for and sound understanding of the game. Our alumni have played and are playing at all levels of collegiate water polo, from Division I to Division III. The team consistently competes with the best teams in the league. Building swimming speed and endurance, honing fundamental water polo skills, and playing as a unified team are the foundation of our experience and the keys to realizing our goals. The Loomis Chaffee boys water polo team defeated Deerfield Academy 11-3 on Wednesday, October 24, in an important game with major playoff seeding implications. 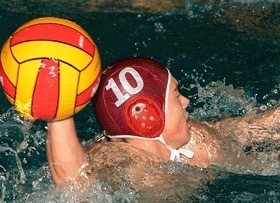 The boys water polo team defeated Brunswick 17-14 at Hedges Pool on Wednesday, October 6, in a high-scoring shootout.